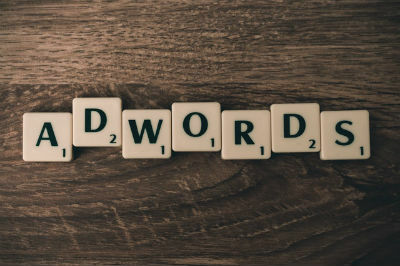 Google AdWords is a paid advertising system that allows businesses to pay to be found when users search on Google.com for a certain type of product, service, or related keyword. Google AdWords is divided into two types of networks: Search and Display. In this week’s digital marketing blog, learn about Google AdWords Search and Display Networks, the differences between the two, and how each can extend your reach to consumers online. The Search Network centers around the search function on Google.com. After searching for a word or phrase on Google.com, a user is shown a search engine results page (SERP). The SERP returns results related to the keyword or phrase, some paid a nd some organic. The paid ads appear above or below organic search results on a SERP and may also show up on other Google partner sites and applications like Google Play, Shopping, and Maps, and on other search partner sites (which have their own search functions). These ads are labeled with the word “Ad” or “Ads.” With a Search campaign, you’re targeting people based on certain keywords only. Ads on the Display Network extend beyond search functionality to other websites. Website owners can choose to add AdSense ads to their site, in exchange for profit. Once AdSense is activated, Google will place ads on those websites that are targeted for whoever is visiting the site. Millions of websites use AdSense as an extra source of income. If a person visits these sites, they will likely see ads related to the keywords they have searched on Google. Search Network ads show up when a person is actively looking for certain information, tagged by related keywords. Display Network ads, conversely, follow users around the internet as they journey from site to site. Display Network ads are sometimes known as “interruption marketing” because they appear when a user is not seeking out the information. On the Search network, you can use contextual targeting (your ad will show up on sites contextually related to your ad copy and keywords), behavioral targeting (based on a user’s browsing history), and demographic targeting (based on a user’s gender, age, and other specifics). When you create a Google AdWords strategy, you will need to decide which networks will prompt the most consumers to call you, visit your site, or make another type of conversion. Some businesses run ads on both the Search and Display Networks, while others choose just one. It’s also important to use messaging differently depending on where your ads will appear. On the Search Network, a prospective customer is already act ively in search of a product or service. Your ad not only should be tagged with the keywords you want to show up for, but also be included in the copy of your Search ad. For example, if you want someone searching for “Pizza in Los Angeles” to notice your ad, you should include those same words in the copy of your ad. Choosing the right Google AdWords strategy for your business takes some time and involves, in most cases, trial and error. It’s important that when you release a new campaign on AdWords Search and Display Networks that you carefully analyze your ROI. If you are unable to invest the time and money into creating your AdWords campaigns, a digital marketing specialist can help. Over time, you can improve traffic to your website, calls to your office, and ultimately, improve sales.